If you are in search of a hotel near downtown St Pete, check us out at Inn on the Beach. With close access to the thriving St Pete Beach scene, you can rest assured you have chosen the right location for your vacation. 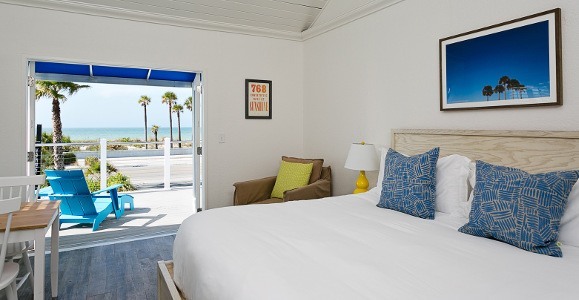 You will be close to the iconic beach, art districts, nature preserves, and more at our St. Pete Beach Hotel. Treat yourself to the magic and adventures that St Pete has to offer while relaxing in the comfort of Inn on the Beach after a long day. Join us and experience having downtown St Petersburg at your fingertips. Your adventure of a lifetime is just waiting for you to show up. Join us in St. Pete and begin making memories that will last. Whether you are more of an outdoorsman, art connoisseur, or just love lounging on the beach, you can have it all in St Pete. Our thriving art districts, world-class nature preserves and exciting beach adventures are yours for the taking. You can enjoy a family-friendly vacation, a girls weekend out, or a romantic getaway all in the same place. Make sure to keep up to date with the sights and sounds you want to experience on your dream Florida vacation here at St Pete Beach. With some locations offering seasonal attractions, it is essential to keep informed in order to make the most of your dream getaway.